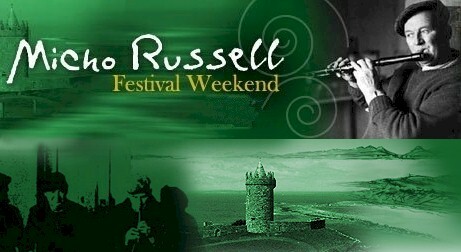 For those with an interest in Irish Traditional Music, the name Micho Russell is synonymous with the village of Doolin in Co Clare, which is the location for this annual festival in his memory. Micho Russell was born and lived his whole life in Doolin and drew trad lovers from all over the world to hear his virtuosity on the tin whistle and the flute. His characteristic playing style was marked by it’s unique ornamentation and the ease and naturalness he had with his instrument. From a musical family, Micho was often joined by his brothers, Gussie and Packie, all of whom are commemorated in this event, which begain in 2001. To-day the Russell Memorial Festival attracts some of the best traditional musicians from around the country and many international visitors. 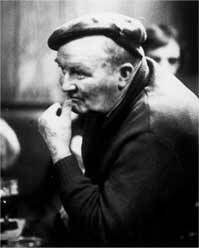 As part of the festival Concerts, recitals and set dancing take place in local pubs (in particular Gus O’Connors) and in the Russell Curtural Centre. In addition there are many organised and impromptu sessions in pubs not just in Doolin but surrounding areas also. Tickets are not required for the many pub sessions, where they are needed they are available to purchase in the Russell Centre. If you are planning to attend this event we highly recommend booking your accommodation early and trying to get somewhere within staggering walking distance of Doolin Village.